Burham & Berrow Golf Club’s Championship course was severely damaged by a fire that took hold during the afternoon of August 5. 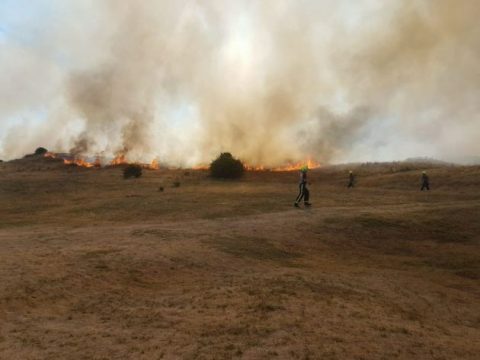 The fire started on an area of land between the 7th, 8th, 9th, 10th, 11th and 12th holes at the Somerset links, and destroyed 3,700 square metres of rough before fire crews were able to put out the blaze three hours later. The club was hosting a county match between Somerset and Cornwall at the time of the blaze, which had to be abandoned. No-one was injured, and all the players made it safely off the course. 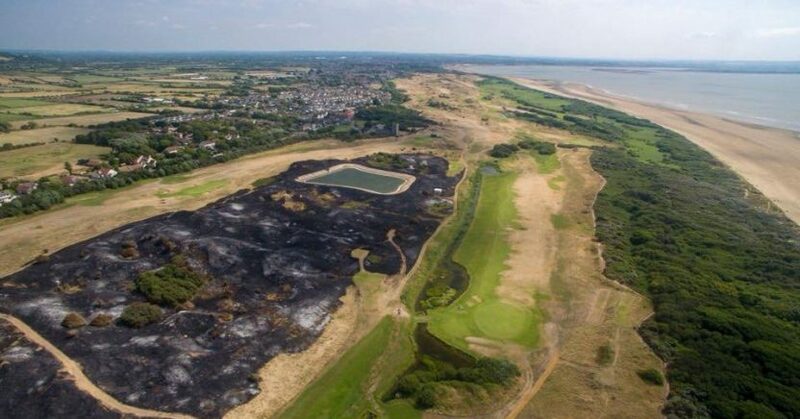 The fire was contained with the help of six fire engines and the club’s quick-thinking greenkeepers who managed to activate the course’s pop up sprinkler system to prevent the fairways and greens from being destroyed. Despite the extensive damage, the club was able to open for play today (August 6).